Get your data moving with our custom Texas A&M University USB drives! These state of the art data storage devices are built to last with dependable, durable materials. They’re easy on the eyes and easy to carry, thanks to their sleek and compact design. 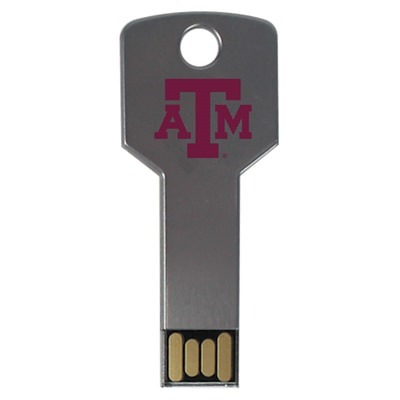 A great way for Aggies to show off their pride, these Texas A&M USB drives come with huge data storage capacities. A perfect gift for Texas students, alumni, and faculty.